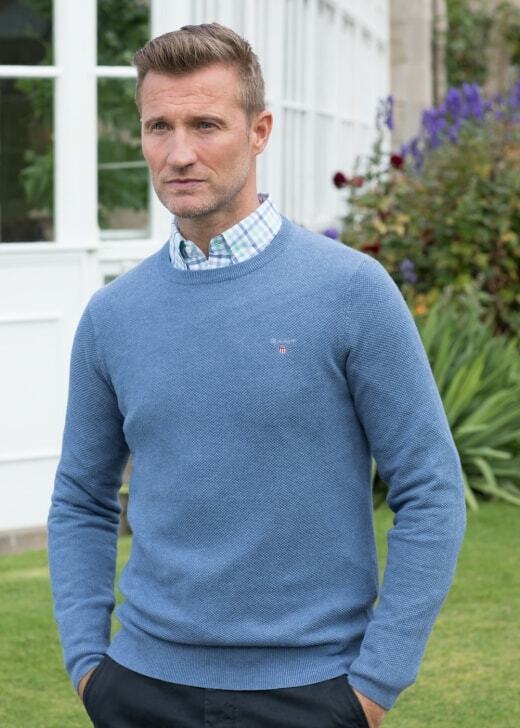 Gant's Cotton Pique Crew is a beautifully crafted sweater made with fine cotton. Gant's Cotton Pique Crew is a beautifully crafted sweater made with fine cotton. Featuring ribbing on the cuffs and hem and finished with the Gant signature logo, this crew neck is perfect for everyday wear.